Vintage item - Packaging features original image which inspired Devo's debut LP cover art. Chi Chi gave his permission direclty to Devo to use his exact image...but somewhere along the line Warner Bros mutated Chi Chi's image, which is what appeared on the front cover of Are We Not Men? We Are Devo!. 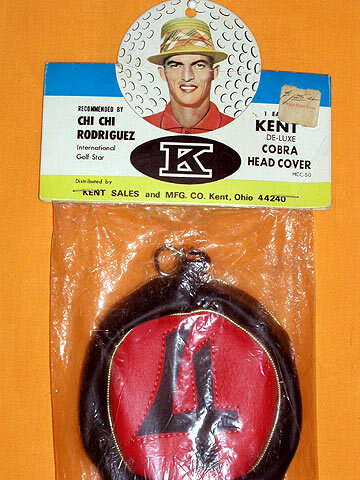 The original image shown on this golf club cover packaging was featured on the cover of the UK release of Devo's Be Stiff 7".